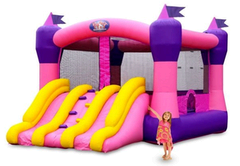 Your princess will absolutely LOVE this jumpy. One of our most popular. If you have room we have a big version as well.